Activity in the construction sector continued to grow in January but at a slower pace than before, according to the latest Purchasing Managers' Index from Ulster Bank. The rate of total activity stood at 54.6. While this was still well above the 50 mark that separates growth from contraction, it was below the 56.3 reading in December and the slowest pace of growth in three months. 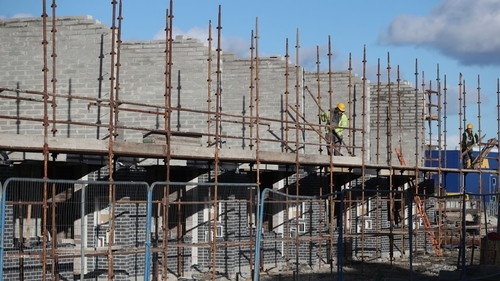 Overall Irish construction activity has increased on a monthly basis since September 2013. Ulster Bank said that commercial activity saw the biggest dip last month, while housing activity was also down. Civil engineering work continued to contract, albeit at a slower pace than before, the bank noted. Construction companies said that new orders continued to rise sharply amid reports of improving customer demand at the start of 2019. But employment growth in the Irish construction industry eased to a four-month low during January. Despite this however, the pace of expansion was solid amid reports from firms that extra staff had been hired in order to keep up with customer demand. Construction payrolls have now increased on a monthly basis since September 2013. January also marked the 59th consecutive month of rising input buying among Irish construction companies. Ulster Bank said that while the pace at which purchasing activity increased was solid, it slowed from December levels. Meanwhile, input price inflation quickened to a four-month high during January with companies reporting higher raw material costs - especially for steel and insulation. Business sentiment improved to a three-month high during January and was strongly positive. Around 49% of companies surveyed predicted a rise in activity over the coming year compared to 6% that expected a fall with optimism linked to the expected improvements in economic conditions. Ulster Bank's chief economist Simon Barry said that housing was the fastest-growing category in January, with this important sub-sector recording ongoing solid expansion, albeit at a somewhat less rapid pace than earlier in the recovery. "Last week's completions data from the CSO showed that new home construction rose by 25% last year, with the full-year total of about 18,100 units completed representing a nine-year high. "Early-year trends in the housing PMI - as well as the signals from other indicators - are consistent with further improvements in housing supply in the coming year," the economist added.